Rihanna combines her love for music with her distinctive sense of style in the Fenty Puma by Rihanna collection. The Fenty Puma collection mixes street and sport vibes in its shoes, apparel, and accessories for a distinctively athletic look. The footwear collection features Rihanna Puma shoes, bold sneaker booties and over-the-knee boots in black and white options. The chic maxi dresses, comfy wide-leg pants, and cropped jackets in the apparel collection can be effortlessly paired together. 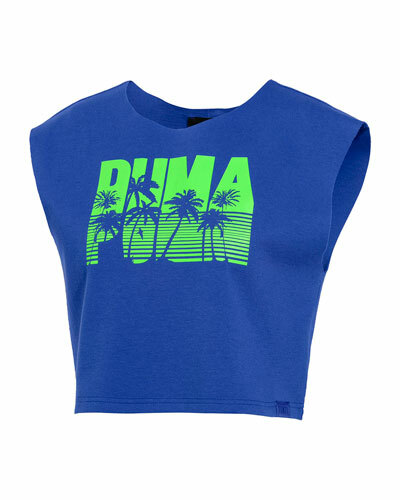 Shop Fenty Puma by Rihanna shoes, dresses, and more at Neiman Marcus.